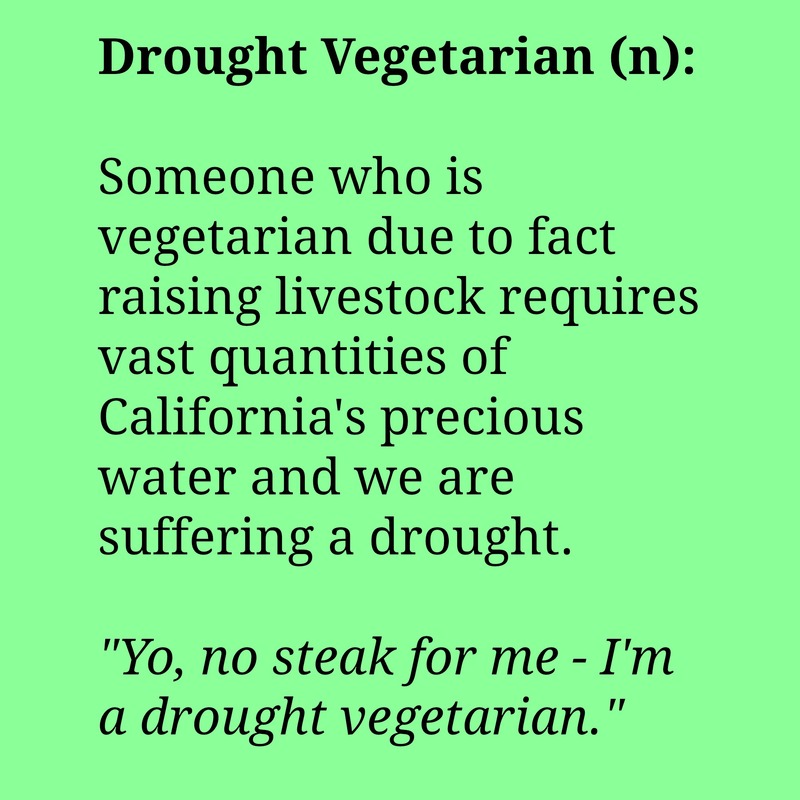 * Definition of Drought Vegetarian: Someone who is vegetarian due to fact raising livestock requires vast quantities of California’s precious water and we are suffering a drought. In my euphoria over finding a like-minded soul, I pen the following 3 official ** principles of drought vegetarian/veganism. 1. SOME conservation is better than NO conservation. You do not need to be a purist, obsessively tracking ingredients in every food choice. You do not need to write down the entire stir-fry recipe at the restaurant to see if there are any bone-derived, meat-derived chemicals used to make more spices that might have touched a grain of your rice. Even if you eat fish sauce every now and then, you are still helping to conserve water by cutting back on your intentional meat consumption (especially beef). It doesn’t make us any “less” to not be 100% perfect. We all have important things to do, and scrutinizing all of the ingredients in a dish isn’t at the top of that list! Example: In the name of water conservation, I would also like to eliminate dairy and eggs like my buddy, Sam. But it’s a tough transition to go from omnivore to vegan, so I am instead just cutting back for now — keeping in mind principle #1. 2. We do not intentionally purchase meat products. In other words, if my friend gets hit by a flying anvil, promptly develops amnesia, and puts meat product into a dish they are cooking up for a party, at which I am the main guest of honor…. I will eat some. Because throwing it away would be wasteful and unkind. Otherwise, no intentional purchase of meat products. 3. We respect the usage of water. * We wash dishes in a basin, instead of holding every individual dish under the running faucet…. (this is my personal pet peeve, water conservation be damned). And…… that’s all for now. Hopefully you get the picture. Are there any other drought vegans or vegetarians out there? Join the club! *** If you are the feds, this whole section of my post is a complete joke. I’m down from Drought Vegetarianism! May I suggest another principal? 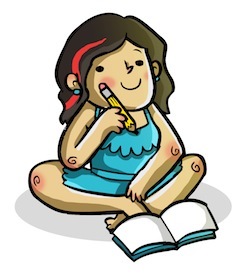 #4 Be LOUD, nice, informative and PROUD? When I ended my decade of vegetarianism, I traded in my passive avoidance of meat for emails, protests, letters and conversations about advocating for farmworkers rights. I love this!! 🙂 That makes THREE Drought Vegetarians!! We are the ever-growing club! Lu | Super Nummy Yo! YAY! Thanks, Lu, so nice to meet you!